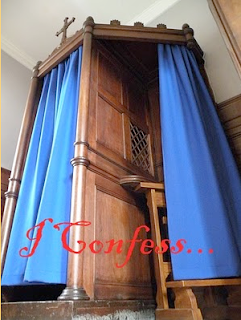 Ok, Rachel Rigdon, the new "owner" of J.Kaye's blog, which is now called Home Girl's Blog (a name I really like) has challenged us to confess to a book we've read that we're a bit embarrassed to have read or to confess to a book we claimed we read, but didn't. I'll go with choice number 1. 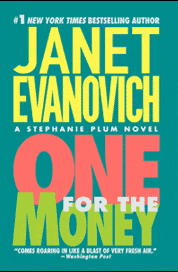 I have read almost all the Janet Evanovich "number books" (you know the ones, One for the Money, etc). I really like them, swearing, New Jersey hair, mobsters, bail bondsmen and all. Whew I said it and nothing bad happened. And choice number 2...guaranteed there were many books in high school and college that I claimed to have read for classes that I didn't. I am ashamed to say I probably read the Cliff Notes. Is it sad that I've never heard of those number books? At first I never told anyone that all I read for about 5 years were the Elizabeth Peters murder mysteries set in England & Egypt. Then I met other fans and now I'm proud to be such an avid reader of her books. In college I never read, and never read Cliff notes. So Helen, at least you read the Cliff notes! Hannah, the Evanovich number books are wonderful if you are in the mood for swearing, sexual tension, and a good mystery! They are also addictive! Danielle, I haven't heard of the Elizabeth Peters books. I guess you're right about Cliff Notes; at least I had some clue as to what was going on in the books I didn't finish. I didn't do it often, just a couple times. In junior high (in the 1950s, so there were no middle schools yet) my English class ha to write regular book reports. Smart-alecky little thing that I was, even though I regularly read several books every week, I decided one week to see if I could "make up" a book so successfully that the teacher would never know. 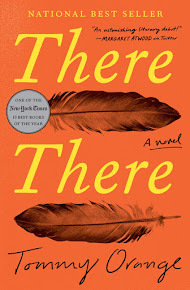 I found a different title by the author in one of her books that I had read, used that title in my "book report," made up a bunch of stuff about the book (which I had never seen), and wrote my report. I got an "A" for my "work" and decided to become a writer. Actually, I have published articles and book reviews and such (even in my pre-blog days) locally, nationally, and internationally. Kind of cocky, huh? So painfull to think of the "tricks" we played with out coursework. That's one reason I always read papers so carefully as a classroom teacher. I did not want students to be able to say I wasn't paying attention and reading. It was sort of satisfactory to catch someone when they tried.